- The design has been originated from Persia and it depicts a kurdish influence which is prominent due to its floral motifs. 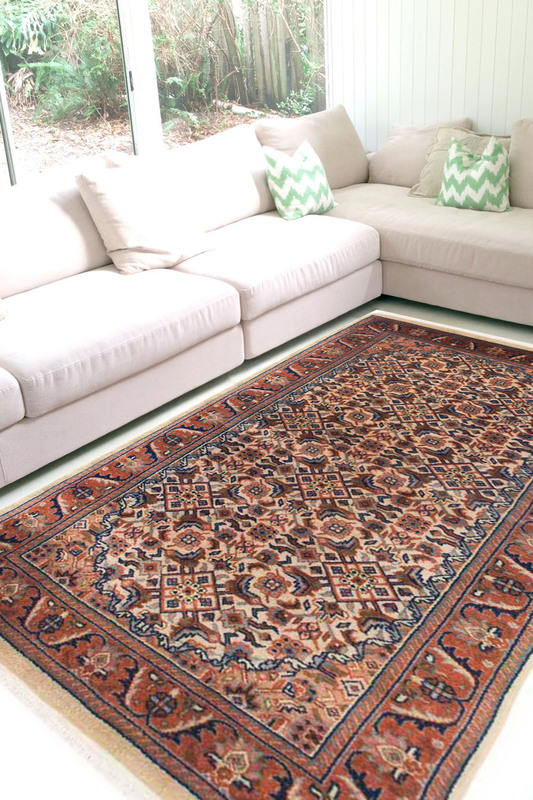 - The primary color is cream with a sequence of motifs throughout the rug. - The border has been intricately woven has a detailed design pattern. Perfect for a coffee table or an entrance space.